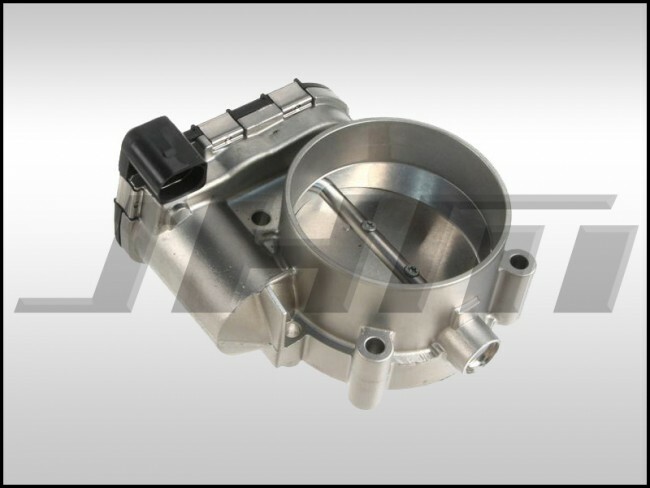 This is a brand new, OEM replacement throttle body for the B6-B7 S4, C5 A6-S6-allroad 4.2L, D3 A8-S8 4.2L, D4 A8 4.2L and the B8-S5 with the 4.2L FSI V8. This is a brand new part made by Bosch, the Original Equipment Manufacturer (OEM) of this piece for Audi. The OEM part number for this throttle body is 077133062A or 077 133 062 A.